Isn’t it every kid’s dream to go to “Infinity and Beyond” like Buzz Lightyear or to be Dash, the fastest Incredible in the family? One can only aspire to be a larger-than-life Disney character, but few can actually check it off their bucket list like Schemmer’s Josh Murphy, BPAC, BIM Manager. Josh is a Nebraska native who had a big dream as a kid to become an ice skater. He competed as a figure skater for 12 years and in 1999 won a U.S. Figure Skating Gold Medal for Novice Pairs. He went on to compete internationally and represented the United States. After he officially retired from ice skating, Josh set out for architecture school. He put himself through college by teaching ice skating and went on to earn his Bachelor degree in Architecture. The ice rink still called to Josh. His next big adventure was with Disney on Ice. 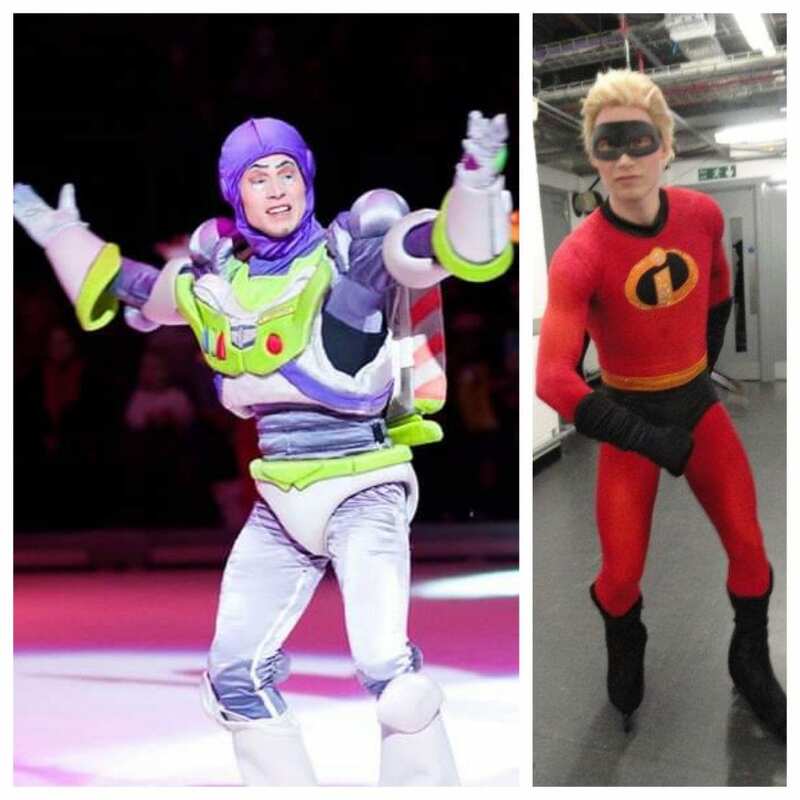 He toured Europe and skated as Buzz Lightyear; Dash, from the Incredibles; and as part of the Disney Ensemble for the next year. Josh loved skating, but ultimately decided to hang up his jet pack and cape. He returned to architecture and his passion for technology, and over the next few years helped firms dive into the world of Building Information Modeling (BIM) Services. Josh made the move back home to Omaha and in 2014 landed at Schemmer as BIM Manager. “Every day is something different. I’m really excited about Schemmer’s BIM for Owners program. Traditionally, an Owner gets something at a milestone, but there are more opportunities for interactive collaboration and sharing. Whether it’s with renderings, design documents, specs, etc. The sharing goes beyond the Owner and extends to Contractors and Subcontractors. It’s all working to provide a better product for the Owner and helping them realize their vision efficiently, which in turn saves time and money,” said Murphy. Information within Schemmer’s deliverables is growing. It goes far beyond the 3D world and also ties in vital building information for Schemmer’s team to analyze. As technology continues to change, Josh and his BIM team apply their expertise and love for virtual reality to push projects to the next level.